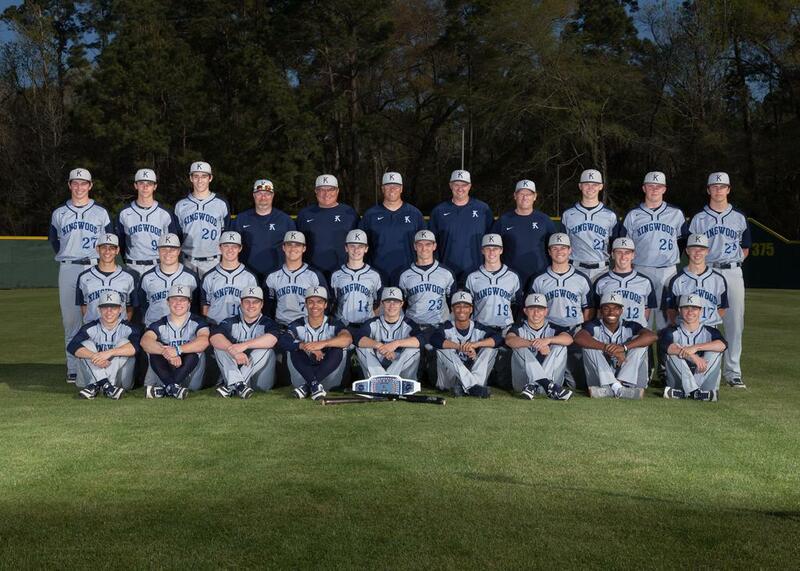 After securing a district championship last year, The Kingwood Mustang baseball team is looking to repeat in 2018. The team returns seven starters, including their entire pitching staff. Coach Kelly Mead knows there is pressure on the team to perform, but he said that all the pressure the players feel is internal. The Mustangs have started the season off hot, winning their first seven games by a combined margin of 55-18 as of press time March 2. "I'm excited for this season. I think it could be something really special," said senior pitcher Cody Lancaster. Mead said that the additional year of varsity baseball experience is helpful but that the biggest benefit is the added confidence the players get from their experience. Among the players returning are 2017 District Newcomer of the Year sophomore Masyn Winn, first team all-district players, senior catcher Austin Flematti, junior outfielder Carter Amarantos, Lancaster, Winn and sophomore shortstop Tre Richardson, as well as second team all-district player senior outfielder Ben Cegelski. Mead was also named Coach of the Year. Mead said that having Winn and Lancaster back, two first team all-district pitchers (of only six for the entire district) and the team's top two pitchers from last year, with an additional year of age and experience, will reap big benefits when district play starts. The Mustangs have been without their home field since Hurricane Harvey destroyed their field along with the rest of Kingwood High School in August. "You can sit there and use the flood as a crutch, but you're not getting anywhere with that," Mead said. The team has been practicing and playing their home games at the Summer Creek baseball field. One effect of that is that the team has had a lot less time to practice. The team makes the most of its time in the batting cages and tries to get a lot of drills done at The Zone in Kingwood, which is more convenient for the players. Mead considers every game to be a road game because they won't play at Andy Wells Field at Kingwood High School. The team has given themselves the moniker of The Road Warriors. He said Andy Wells Field will be ready to practice on but not to play on when the students return to Kingwood on March 19. His goal is to be able to play one game on the field before the end of the year for the seniors. Winn said team chemistry is one of the Mustang's strengths. He said that this year's team has the closest bond he's felt with any team in his life. Amarantos said his favorite part about baseball is the bond he has with his teammates. Mead said that with the sun starting to shine more and the grass turning green, he doesn't think there's any better place to be in the spring than a baseball field. Mead's goal for tournament play is to find the best role for everybody. He emphasized the importance of pinch hitters and the bullpen. Kingwood's first district game is on April 3 at C.E. King. "From what I've seen so far, the sky is the limit," said Lancaster. "There's still a lot of work to be done, but it's looked really nice so far."